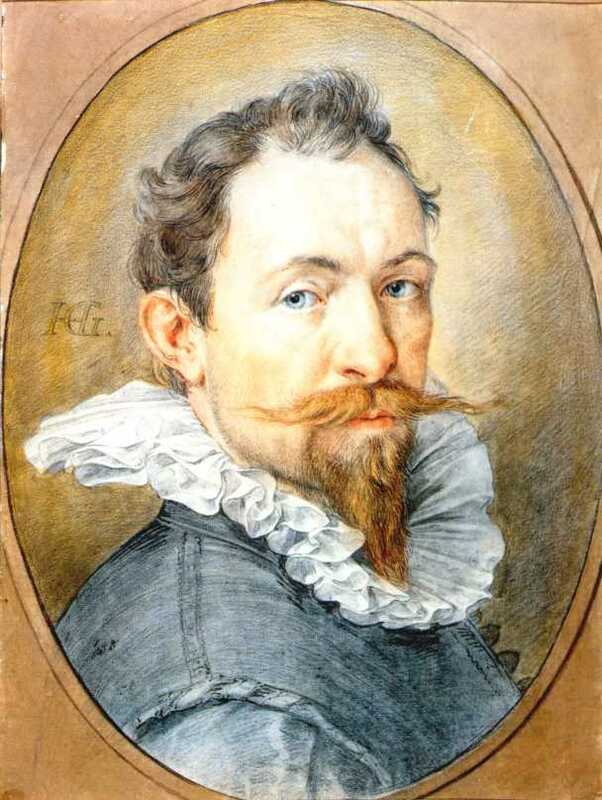 Hendrik Goltzius (1558 - January 1, 1617), Dutch painter and engraver, was born at Millebrecht, in the duchy of Julich. After studying painting on glass for some years under his father, he was taught the use of the burin by Dirk Volkertszoon Coornlert, a Dutch engraver of mediocre attainment, whom he soon surpassed, but who retained his services for his own advantage. He was also employed by Philip Galle to engrave a set of prints of the history of Lucretia. At the age of twenty-one he married a widow somewhat advanced in years, whose money enabled him to establish at Haarlem an independent business; but his unpleasant relations with her so affected his health that he found it advisable in 1590 to make a tour through Germany to Italy, where he acquired an intense admiration for the works of Michelangelo, which led him to surpass that master in the grotesqueness and extravagance of his designs. He returned to Haarlem considerably improved in health, and laboured there at his art till his death. Goltzius ought not to be judged chiefly by the works he valued most, his eccentric imitations of Michelangelo. His portraits, though mostly miniatures, are master-pieces of their kind, both on account of their exquisite finish, and as fine studies of individual character. Of his larger heads, the life-size portrait of himself is probably the most striking example. His master-pieces, so called from their being attempts to imitate the style of the old masters, have perhaps been overpraised. In his command of the burin Goltzius is not surpassed even by Dürer; but his technical skill is often unequally aided by higher artistic qualities. Even, however, his eccentricities and extravagances are greatly counterbalanced by the beauty and freedom of his execution. He began painting at the age of forty-two, but none of his works in this branch of art--some of which are in the imperial collection at Vienna--display any special excellences. He also executed a few pieces in chiaroscuro. His prints amount to more than 300 plates, and are fully described in Bartsch's Peintre-graveur, and Weigel's supplement to the same work.